Now that the setup and design are completed, driving traffic to your online store is the next challenge to combat. Poor website traffic is no doubt one of the biggest challenges people face when running an online store. It is, in fact, the root-cause problem why your website cannot generate sales since the traffic at the beginning of the sales funnel is too low. According to a Smartinsights report, the average visit conversion rate of top 100 online retailers is 2.8%. That means, fewer than 3 in every 100 visitors turn into purchasers. Let’s do a quick calculation here: the average cost per click (CPC) in Facebook Ads across all industries is $1.72. Assume that you can manage to run your ads so effectively that your CPC is cut down to $1, it costs $100 to generate 100 visitors. At the industry’s average visit conversion rate of 2.8%, it costs you $33.3 to acquire 1 paying customer. That’s scarily high, isn’t that? For those who start out small, acquiring free traffic before they profit can cover the cost is critical. In this chapter, we address the most effective yet free to low-cost strategies to drive traffic to your online store. 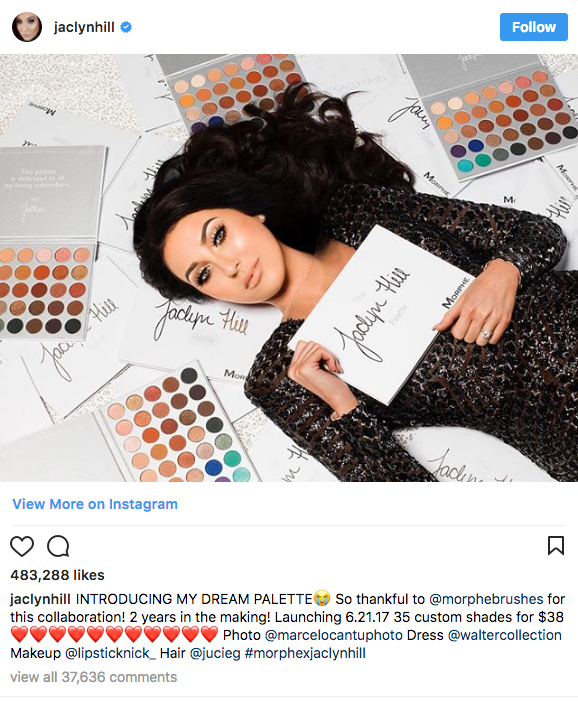 Influencer outreach has been the popular term in sales strategy recently, thanks to the rising of social media like Facebook, Instagram, Snapchat, Twitter. Popular influencers have thousands of followers who look out for their posts everyday for reviews, trends, and suggestions. Influencers are trend creators who lead followers in what to see and do. Top influencers can even change the game by shifting the majority of market that they are taking the lead. Before the age of social media, bloggers and YouTubers are two main types of influencers in almost all industries. Now that the whole world goes on social media on mobile devices, Facebook, Instagram, Twitter, Snapchat are primary channels influencers build their popularity and network. How can you, as a new player in your niche market, take advantage of this social movement to drive traffic to your online store? Reach out to influencers and get them introduce your products to their network. Before searching influencers, you need to define what type of people might be the ideal influencers whose followers are your target customers. You can directly ask some of your customers who they follow for ideas and inspirations. Then, you will have some keyword ideas in mind to search on Google and social hashtags. Make sure you have an active social account that influencers can tag you along in the post. Once influencers try and review your products, you can even actively engage with the leads by following the comments and answering or messaging those who show interest in your products. SEO is a must to drive a long-term source of organics traffic to your eCommerce website. Sooner or later, you will have to come to SEO as a sustainable tactic. So, why don’t you create a blog right from the beginning and gradually build up content that lasts? This tactic is useful especially when you start up small with little budget to invest into paid channels like advertising. 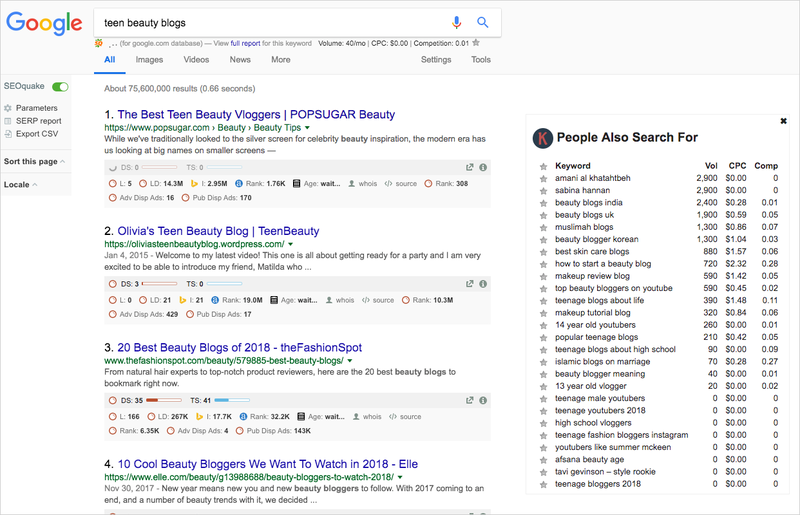 The most important key point in driving traffic via blog posts is writing what your customers search and get ranked on the first result page. If you don’t get to the first page, you don’t exist at all. For a more detailed instruction how to optimize your website and articles for SEO, please refer to Moz Beginner Guide to SEO to learn from the very basics. Seeing the best articles ranked for these keywords, you will have a good idea about what your readers want to read and find best topics to write about. If you already have some buying customers, think about encouraging them to refer their friends to your online shop. Not only do you count on influencers to take your brand to social media, but you can also leverage customers who already shopped happily with you. 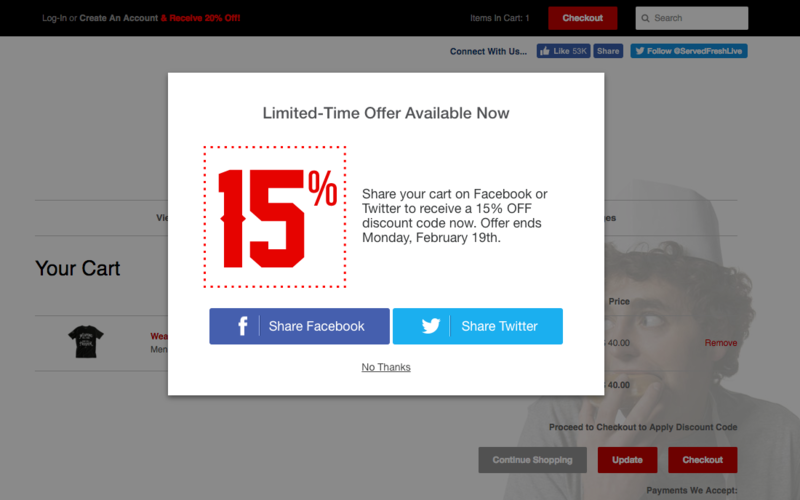 By incentivising customers to share their cart or favorite items on their social profiles (and you need to make the sharing action as easy and instant as possible, ideally in 1 click), you have organic links back to your website on their social pages. This does not only strengthen your SEO score but it also attracts traffic referred from the share posts of your customers. In the example above, the offer was created by Checkout Boost app. Besides offering free gifts as the incentive, you can also offer a discount or free shipping coupon. The offer can take place before customers check out to prevent cart abandonment and increase checkout rate, or after payment is made to retain customers for next purchases. If your target customer persona normally finds information on some popular websites or blogs, you can drive traffic from those websites/blogs to your eCommerce store by contributing guest content to them. If accepted, guest content normally appears as a usual post on the website but credited to you as the author and some link back to your website as reference resources. If your content delivers valuable information, with relevant back links added appropriately and naturally, genuinely interested readers will click through and successfully become your traffic. It’s should be easy to find ways to contact the editor team so you can send them a request to contribute a post (which you should prepare first and send along in your first heads-up email). Some will accept for free as long as your post is valuable, fresh, and covers a gap in their content. Some will require a sponsor fee, depending on their ranking and potential referral traffic they can drive to your store. While content on your own domain drives inbound links, content on other external sources build outbound links back to your website. Submitting guest articles will help you both drive traffic to your eCommerce store and strengthen your SEO for long-term organic traffic. Focusing on getting new traffic, you normally forget about old visitors who leave without buying. From the beginning of this post, you were informed that e-Commerce sees an average visit conversion rate of 2.8%, which means 97 in every 100 visitors abandon your site without buying anything. Imagine how much sales you could lose from these slipping-away visitors? The best strategy to drive bouncing traffic back to your online store is retargeting email marketing – it’s free and targeting because you are converting those who already knew your brand and showed interest in your products but hadn’t been motivated enough to make purchase. Effective email marketing campaigns are personalized: it targets each customer with the right message that resonates with them. How can you send out personalized emails to hundreds of visitors per day, automatically? 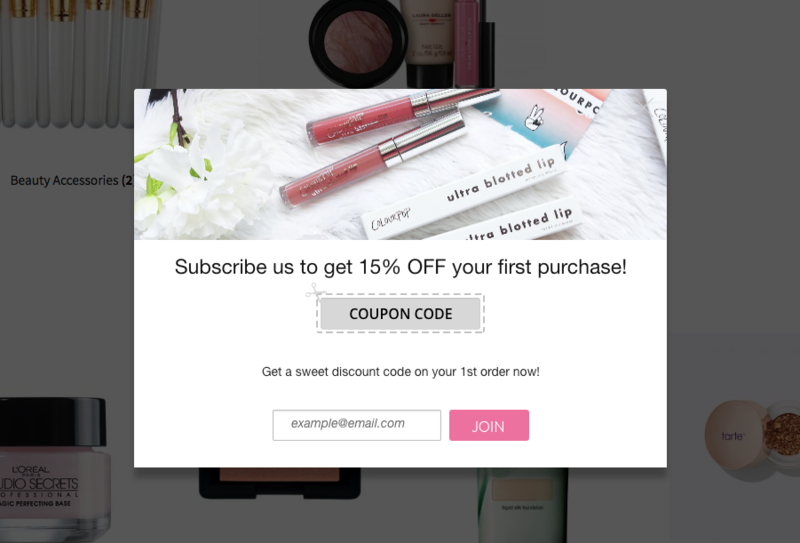 Smart email marketing apps like Mailchimp or Mailbot (Mailbot is more a tool focusing on eCommerce only) power rule-based campaigns sent by triggering each customer’s behavior on store. Besides browse or cart recovery emails, you can also develop email campaigns to send new arrivals, best sellers, and feature items on a regular basis to increase the chances that visitors will click through to come back to your site. There are tons of articles mentioning creating viral videos as a creative and effective way to drive huge traffic on the Internet. True, but somewhat impractical for new small online stores that just start out. Creating a hugely viral video needs a unique and innovative idea and pretty huge cost. A much easier alternative method is to share existing videos that went viral overnight. You can find a lot of viral videos on popular video pages on Facebook like Buzzfeed, Ladbible that attract millions of active followers. Then, you can spend a small budget on boosting your post to quickly gain traffic on Facebook. Don’t forget to dedicate to writing an attractive post content that includes a CTA to drive traffic to your eCommerce website. Today is the age that the whole world hangs around on Facebook. They join groups, follow pages, reacts, comments and replies. As Mark can get everyone on his platform, he is turning it into the biggest social commerce marketplace so that they can buy and sell across borders. If you don’t want to be left behind, be pro-active on Facebook to reach out to your target customers and sell effectively on Facebook. The easiest ways include joining Facebook groups where your customers join to discuss their common interests, look for advice and suggestions. You can act like either a brand ambassador to promote your product, coupons or promotions. Or you can act like a real user who already experienced the products and introduces it to the group. 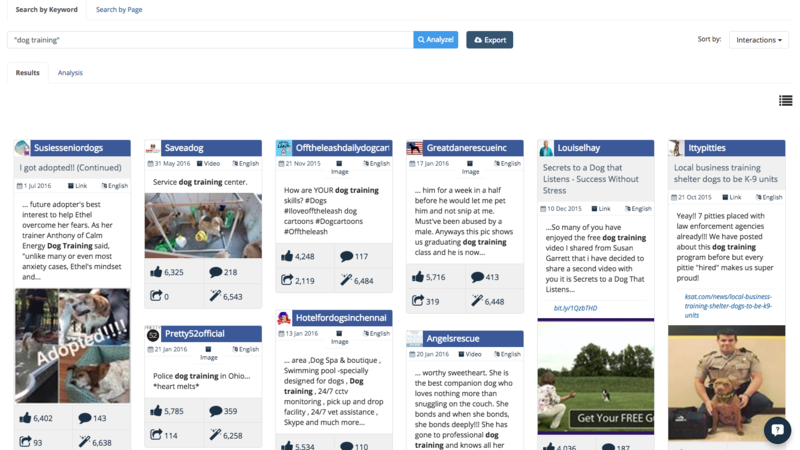 If you can discover pages that the majority of your audience follow, find ways to get featured on their posts. For example, if you sell smart kitchen gadgets, Nifty, with nearly 30M followers, would be your ideal source of potential traffic: send them some sample to make the video or submit a creative video yourself for a post that credit to your brand. Quora is by far the largest Q&A platform on the Internet. At the rate of 6,000 questions created per day, Quora is a massive source of referral traffic where any types of people can gather and discuss. Those who really need solution can go to Quora to address their questions, many others of the same interests provide answers and discuss back and forth. Find questions that attract your target customers and provide informative answers that link back to your website or introduce your product as a recommended solution. The most potential questions should already have a large number of answers and followers. Submit a question yourself as anonymous, and provide answer for it. If you plan to use Quora as a long-term strategy, it is suggested that you build on your account with credibility, high level of activity and popularity. Refer to this Guide on how to drive visitors from Quora to execute the strategy effectively. To give your store a traffic boost at the early stage, you should consider running an activation campaign that can create a somewhat viral effect. Nowadays you are well equipped with social media, videos, live stream tools to turn a creative idea into a viral message. A great idea is to host a contest or giveaway that can drive traffic to your online store in surge. The giveaway’s rules require people to follow the brand account, like the picture and tag along 2 friends in the comment to get a chance to win the prize. In just 3 days, the giveaway gains 22.5K likes. This kind of genius idea creates a huge viral engagement and definitely drive large traffic to the online brand. 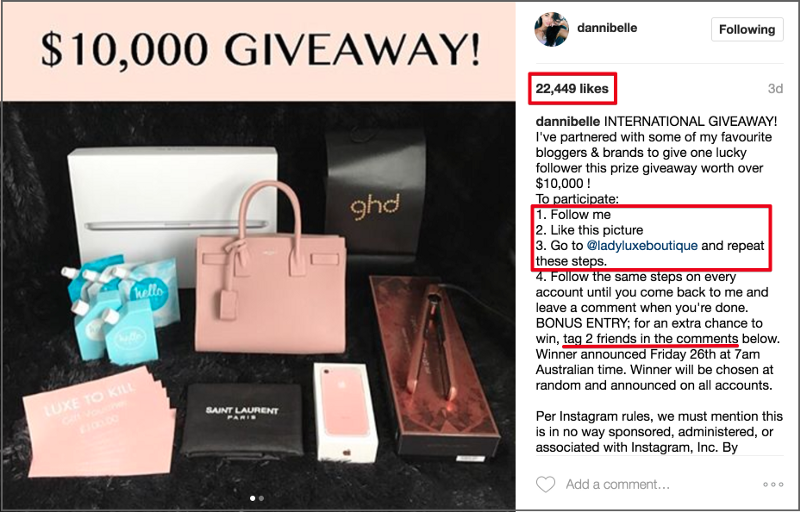 At the first stage when your social account is new, you can sponsor the giveaway items for a popular influencer to host the giveaway/contest for you. When your account is growing and has a decent amount of followers, you can run the event yourself to drive more traffic to your online shop. Sometimes, offline strategies work to help you drive some decent first traffic to your online store. Your customers do not only gather in online communities, but also attend offline events because they have the same interests. If you are really into the work, go network with them offline. They could be your very first online customers. If you are selling arts, art exhibitions are whether you can find genuinely interested customers who can give you precious insights about what they look for. By introducing your sample products or pictures, you can either get their direct feedback about your products or hopefully have them visit your shop and become customers after the meetup. Keep an open mind when you apply these ideas to drive traffic to your online store: there is no one-size-fits-all. You won’t know if a strategy works for your business unless you test it and evaluate the outcome. The final result depends a lot on both your execution and the nature of your niche. Understanding your customers and flexibly executing strategies that resonate with them are critical to driving positive results. What’s next in Chapter 5: Already got a nice traffic flow? It’s time to convert your traffic into email leads to take email marketing to its optimum potential. Let’s find out how in the next Chapter 5: How to build an email list. Thanks for the great article, Alice. If I may, I’d like to add another method of attracting traffic, which is cross-selling. it is something that our platform helps facilitate and it can be extremely effective. Of course, it needs to be done right if it is to work. One of the most important factors is to form relationships with the right kind of online partners. With the right partnerships, you can help each other by driving traffic to each others’ sites. With the right relationships, this will be quality, relevant traffic that is more likely to convert. Hi Alice, Great stuff to increase organic traffic. 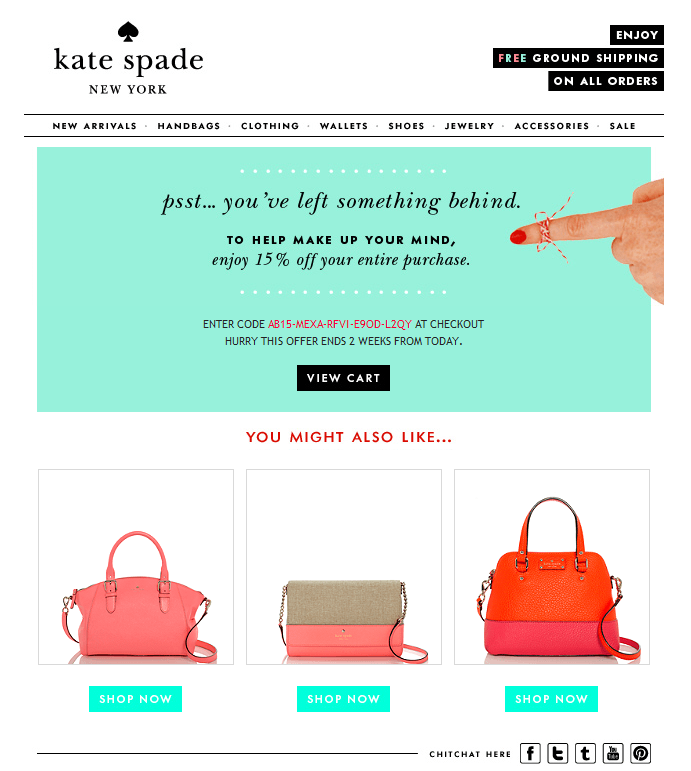 I think online merchants should use above tactics and Email Marketing too. It will not only for traffic but for more sale. Email Marketing is one of technique which through easily draw user attention for online store as well as we can keep subscribers/customers up to date with new products and special sales. Hi,This is really useful article for e commerce. Thanx lot. I really enjoy the guest blogging idea.Its new idea for me. might useful article for all. Getting good amount traffic is always a big challenge for everyone, whether you are blogger or business owner. Thanks for the useful tactics you shared here. I am totally agree with @gsimdigital:disqus that getting traffic is a great challenge. Also, you said that very right that one strategic plan can not be suitable for the others in many cases. And, I am totally thrilled with the information you have provided to increase engagements for online stores. #6 Is no longer valid. Facebook doesn’t allow boosting of shared posts anymore. I think this just happened within the past week. You can download videos and re-up on your social media. But don’t forget the credit of the videos. and hopefully see a change.